The exhibition is accompanied by a one day symposium “Drawing The Line: Looking at Women’s Comics”. 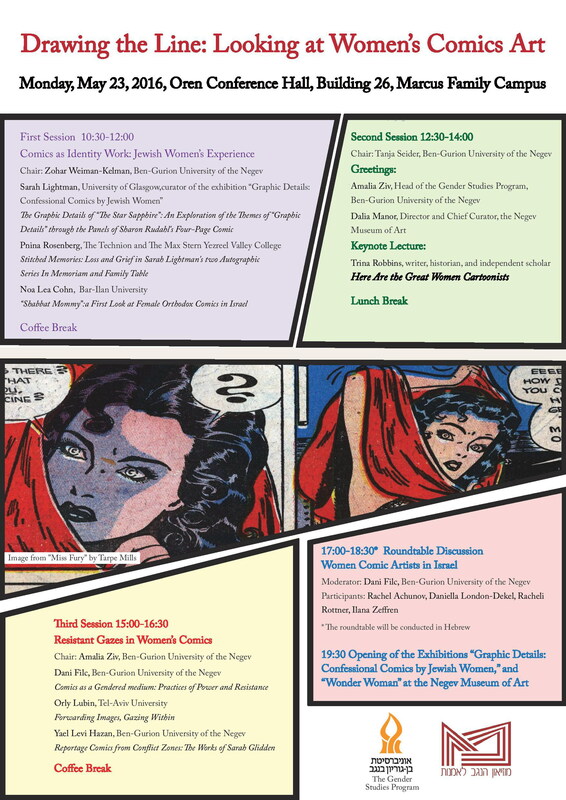 Sarah Lightman, curator of the exhibit, will present “The Graphic Details of The Star Sapphire: An Exploration of the Themes of Graphic Details through the Panels of Sharon Rudahl’s Four-Page Comic.” Noa Lea Cohn will present “Shabbat Mommy: A First Look at Female Orthodox Comics in Israel”. For more info on the event see below.